Born: 26 July 1839, Aberdeen, Scotland. Died: 8 June 1922, Queenstown, South Africa. William Bisset Barry, medical practitioner and Cape politician, qualified as Master of Arts (MA, 1859) and, aged 22, Doctor of Medicine (MD, 1861) at the University of Aberdeen. After some years as a ship's surgeon on the Athens, a mail-boat of the Union Mail Company, during which he voyaged to the Arctic and North America, he settled at Queenstown in the Eastern Cape in 1864. He was licensed to practise in the colony in November that year, and at the same time appointed as district surgeon of Queenstown. That same year he married Marion Beale, with whom he had three daughters. In 1867 he moved to Burgersdorp, perhaps to escape public antagonism following a lecture by him on Charles Darwin. There he developed a large practice and served as district surgeon of the magesterial district of Albert. However, he returned to Queenstown after a few years and served the town for the rest of his life. Berry became one of the recognised leaders of the medical profession in South Africa. During the eighteen-seventies and eighteen-eighties he developed a very large practice, in addition to serving as district surgeon, and became the most prominent medical figure in the northern border districts. In November 1886 he played a leading role in the foundation of the short-lived Frontier Medical Association, a peripatetic association that held its meetings in several Eastern Cape towns, and was elected its first Vice-President. During the late eighteen-nineties he was still a visiting medical officer at Queenstown Hospital and a member of the South African Medical Association. In 1883 he served as chairman of the commission of inquiry into the disease among cattle known as redwater. With two other authors he contributed two brief items on death during chloroform anaesthesia to the British Medical Journal in 1891. 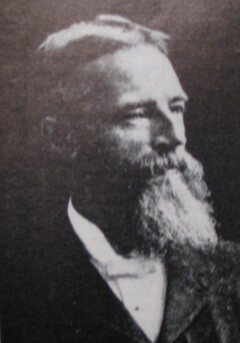 In 1888 Berry became a foundation member of the South African Geological Association (1888-1890). The next year he was one of the local collectors of Karoo fossils who presented specimens to the visiting British palaeontologist Professor H.G. Seeley*. Earlier he had written an article on the manufacture of maize and imphe sugar that was included in the booklet Four weeks in America (Cape Town, 1881) by W.B. Philip. He was a member of the South African Philosophical Society for a brief period around 1887, and again from 1899 to 1907. In 1902 he became a foundation member of the South African Association for the Advancement of Science and served on its first council. Berry gradually became more involved in public life and political affairs. He played a major part in drafting Queenstown's first municipal regulations and was elected its first mayor; was apppointed a member of the government's Native Laws Commission in 1881 and served on the Education Commission of 1892; was elected as member for Queenstown of the Legislative Assembly in 1894; and was elected Speaker of the House of Assembly from 1898 to 1908. He retired from medical practice in 1898 and was knighted in 1900. In 1908 he lost his Queenstown seat, but was elected a member of Parliament of the Union of South Africa in 1910, representing Queenstown until his retirement in 1919. Berry was a scholar with wide interests and played a significant role in the management of tertiary education in the Cape Colony. He served on the Council of the South African College, Cape Town, as a government representative from 1901 to 1908, and from 1903 to 1908 also as chairman of the College Senate. By 1908 he also served on the Council of the University of the Cape of Good Hope and in that year presided over an Intercolonial Conference on Education. In its report the conference recommended the establishment of a single federal university, with English as language of tuition. However, protests from the Dutch speaking community ensured that the proposal was not acted upon. Berry bequeathed his personal library, one of the finest private libraries in the country at the time, to Queenstown, together with 2200 pounds sterling for a library building and shelves. He is commemorated in Berry Street and the Berry Reservoir in the town. Cape of Good Hope, Ministerial Department of Crown Lands and Public Works. Report of the commission of inquiry into the disease among cattle known as redwater. Parliamentary Report G85-1883. Google scholar. http://scholar.google.co.za Publications by W.B. Berry. National Automated Archival Information Retrieval System (NAAIRS). http://www.national.archives.gov.za/naairs.htm Documents relating to William Bisset Berry / William B. Berry / W.B. Berry. South African Association for the Advancement of Science. Report, 1903, 1905/6: Lists of office bearers and members. South African Medical Journal [Series 1], 17 November 1886, Vol. 2, pp. 78-79: Frontier Medical Association. South African Medical Journal [Series 2], January 1898, Vol. 5, pp. 240-242: South African Medical Association [list of members]. South African Philosophical Society. Transactions, 1887-1907, Vol. 4, 11, 16 and 17: Lists of members.